I have discovered Wordles and the Wordles Web site. 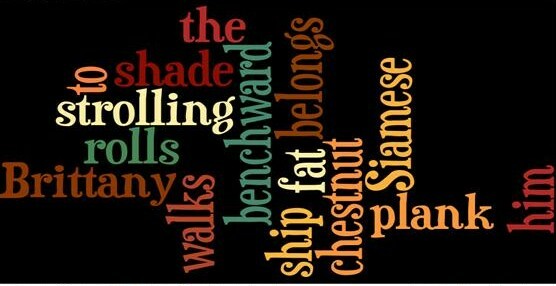 Getting a Wordle from its website to mine is mind bending but I love the random art part of it. 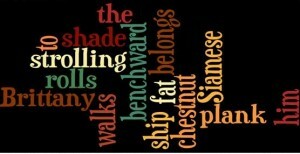 http://www.wordle.net/ is the site to play with your own wordle. Put in a block of text, push a button and voila! 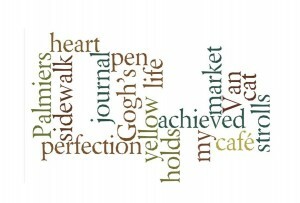 Word art. 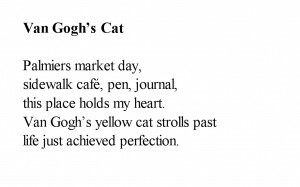 In honor of spring, cats, and France–which I long for when spring comes, here are three Wordles and the original poems that inspired them. 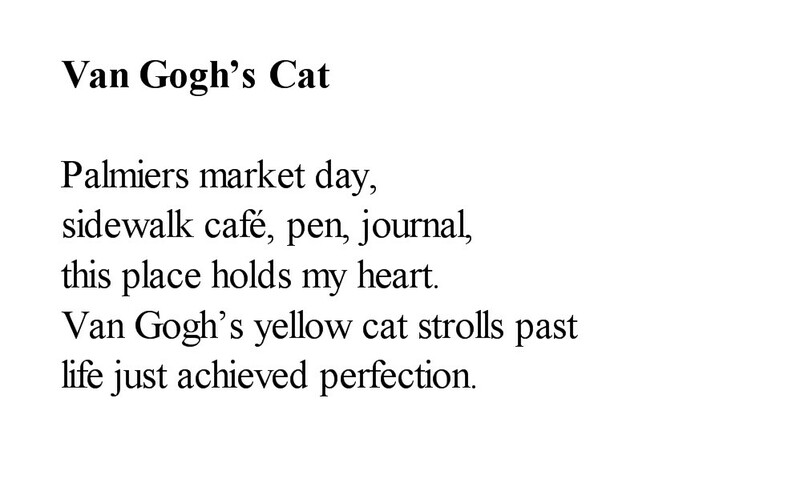 The poems are American Tanka which is a sort of haiku, but a slightly different form and my favorite to write in. See how fun these are? I discovered they work better if you weed out words that aren’t absolutely necessary. Wordling is really fun–and the only way you can drag it from there to where ever is to do a control print screen and move it that way. I put it in MS Publisher, threw a crop on it, dragged it into Adobe and resized it. The long way round I’m sure… Happy Spring! C’est Printemps encore! 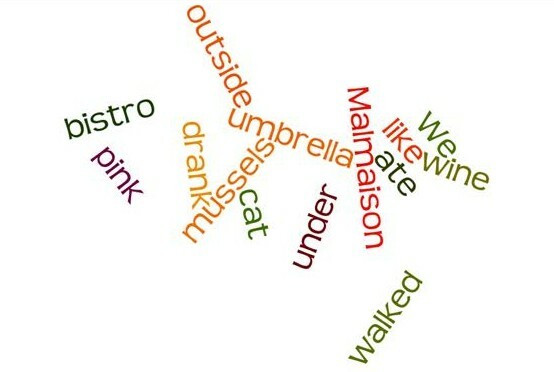 This entry was posted in Directions for making cool stuff on March 21, 2011 by rox. These are great! I love your poems and the visual art too. I wasn’t familiar with the name American Tanka, although the form is familiar. Very cool to have two versions of each piece. 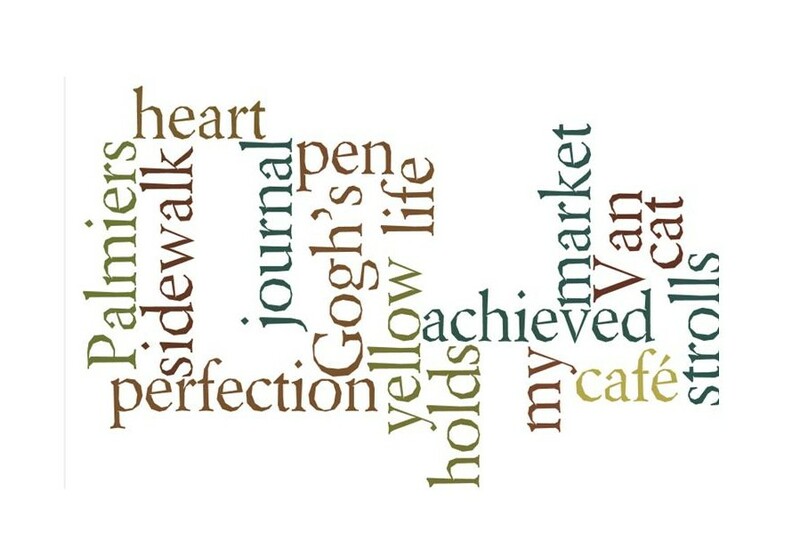 I write haiku, but have never tried a wordle – at least not yet. Your blog is awesome. Looks like you’ve been doing it a while.